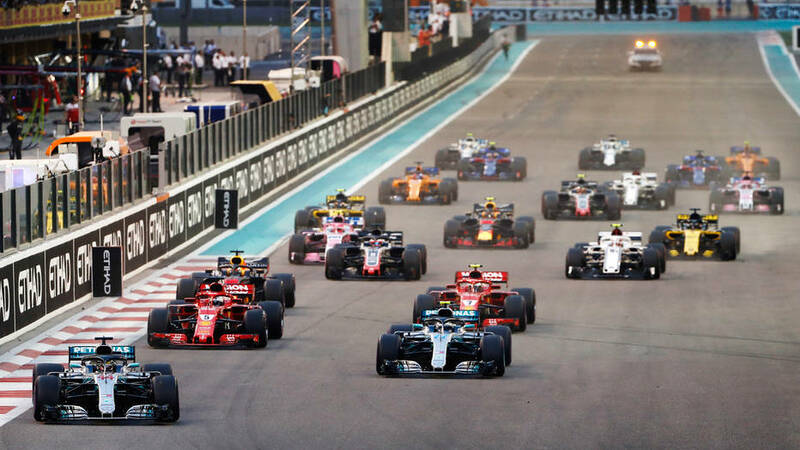 Formula One has applied for a trademark to the name ‘Philippine Grand Prix’ in a move which could see it host its first-ever race in the Southeast Asian country. In August last year it filed an application for ‘Finnish Grand Prix’ and the reason for this became clear earlier this month when AKK-Motorsport, Finland’s national motorsport authority, announced that it had launched a study to assess whether the country could host a Grand Prix. Likewise, F1’s application for the name ‘Formula 1 Grand Prix of Miami’ was made in November 2017, six months before it announced that it was in talks about hosting a race on the streets of the city. It was due to be held this year but opposition from locals put the brakes on the plan which shows that a trademark application is not a guarantee that a race will take place. Then there’s the annual hosing fee which comes to an average of £23.3m. It is understood that F1’s owner Liberty Media waived this for the Miami Grand Prix in order to get the race off the ground. Liberty took the wheel of F1 in 2017 and went on a drive to increase the number of street races as they showcase F1 in the heart of a city. It also publicly stated that it wants to boost the number of races in the United States which is currently only home to one in Texas. Liberty’s solution in Miami was to share the risk and reward with the race organiser. It may sound like this should smooth the way for a race but it could actually create another obstacle. F1’s contracts state that it needs majority consent from three of the teams – Ferrari, McLaren and Red Bull Racing – in order to increase the calendar beyond 20 races. There will be 21 this year and the contracts allow for a maximum of 25. However, the more races there are the greater the teams’ travel costs and the longer their staff have to spend away from home. Several of the teams have expressed concern about increasing the calendar and at last year’s Brazilian Grand Prix Lewis Hamilton said “I am not going to be here if it gets to 25 races, that’s for sure. It is likely that the teams would have agreed to race in Miami as the US is a major market for them. However, it is less certain they would approve of the Philippines, especially as it is only 900 miles away from Vietnam where F1 will race for the first time in 2020. F1 appears to be throwing its weight behind the region whilst the future of the British Grand Prix is unclear after this year as the organisers of the historic race have broken their contract early and not agreed to new terms. The Philippines has little racing heritage and one of the most well-known events it has ever hosted is a round of the Formula Atlantic junior series which ended in 1976. Until now, its only connection to F1 has been a demonstration on the streets of Manila in 2013 hosted by the former Lotus team. In 2021 a new 3.1 mile track on the outskirts of Manila is due to open its doors. Called the Pradera Verde Racing Circuit, it is part of a complex which also includes a golf course, wakeboard park, hotel, and dirt track where the Philippine Rallycross Series holds its events. It is backed by Rallycross boss Rodolfo Pineda and has been designed by Hermann Tilke, the German architect behind many F1’s tracks. However, his new creation in the Philippines is due to be built to a lower specification which could host F1’s two-wheeled counterpart MotoGP. So if the plans for a Philippine Grand Prix get to the finish line, a street race in Manila seems all but a racing certainty. Liberty Media refused to comment on such developments when approached by The Independent.